At local walmart this morning! Are they on clearance yet? 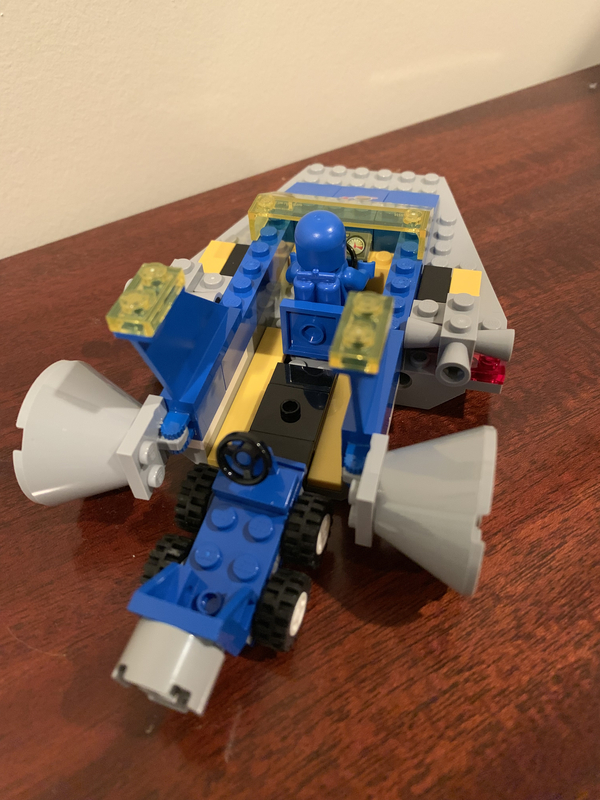 @Onebricktoomany got any upcs? Wanna try brickseek to see if they pop up. @Astrobricks, lol, no they are not...all I picked up were the polys...@Pumpkin_3CK5, I didn't think to take a pic of the upcs for the new sets, doh! Might head back this evening. They had a ton of new shipments throughout store in the aisles to put out. Hopefully some contained more Lego. This stand was located at the front main entrance far from Lego shelves in toy section. No other TLM2 product was out at this time. 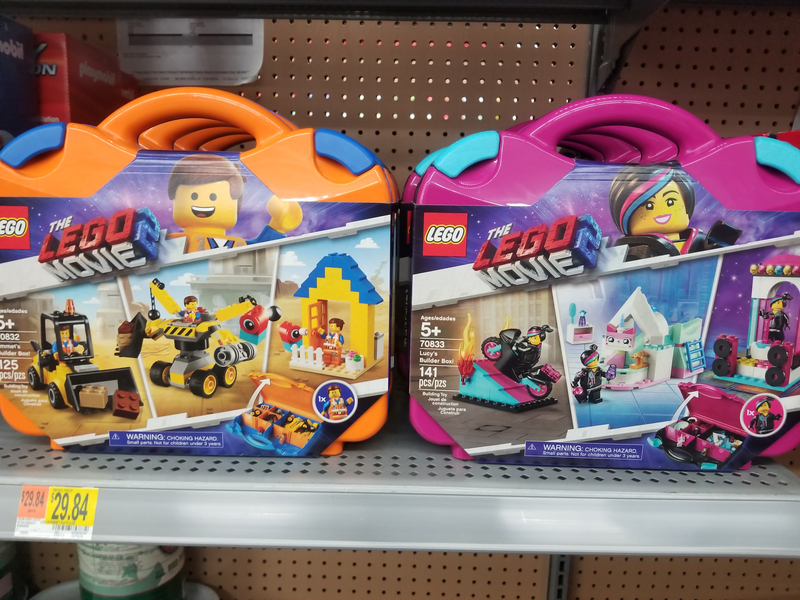 Saw the suitcase sets (70832 & 70833) at a Wamart in WV last night. Crossroads was a UK soap from the 70's/80's, and there was a popular character called Benny in it. He was a handy man with a beanie hat rather than a retro spaceman with damaged helmet. Not just a soap... But a really bad one. 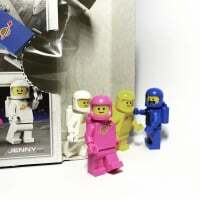 Space fig pack is limit to 2 at [email protected] Fair enough. Bugger! I was holding out for that one. Couldn't find any in store either, unfortunately. I spoke with a Toyworld employee and she told me they wouldn't be getting any new sets at all until late January. I hope that's not the case for all Australian stores. Wow. Space pack already on backorder in US. Actually, it was listed for $9.99 on the US [email protected] site, but sold out - Target had them available for purchase. I just checked, benny's space squad still available on amazon in the US, but in stock on January 6. I just ordered a couple for myself. Target is also showing in stock at the stores but I physically checked my local one. No dice. But I'll at least wait for the movie until I buy any set(s). Got Benny's space squad from my B&N, they didn't have the TLM2 sets out yet but got one from the back for me. Bought 2 of the Benny battle packs this morning just because I think it will be a hard to get for awhile. The rest of the sets I'll wait for a discount. Bought a few of the Space squad packs as I'm not sure if those will ever go on sale. It is a pretty good deal for essentially 3 Classic space figures, including on never produced before in pink. The early demand for Benny's Space Squad is strong, but I'm not sure it will last. 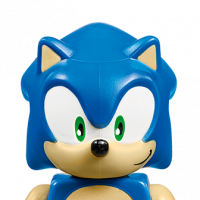 It's serious collectors that are pushing the initial sales, but that will slow. I fully expect to see the set on sale during 2019. A tie-in I didn’t expect. 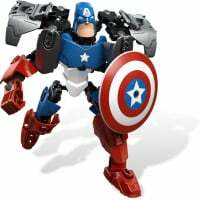 Target will no doubt do 20% off TLM2 gear the week of the release and other retailers something similar. All three previous film sets have gotten big discounts and enormous supply so I would be surprised for anything different this time around. 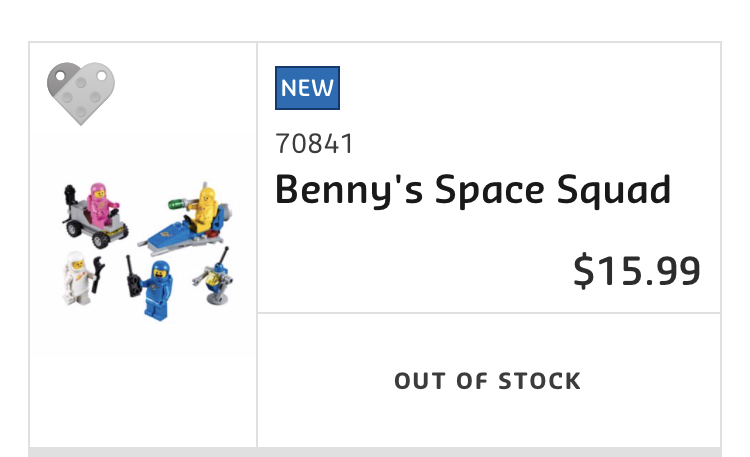 No doubt Benny’s Space Squad will see 20-30% discounts in the future, but the $2-3 savings is not worth the wait to many who have waited decades for this set. Happy toy hunting! 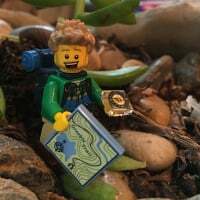 You can already get 20% off most TLM2 sets (including Benny's Space Squad) here in the Benelux, and that's even before most retailers have started stocking them. 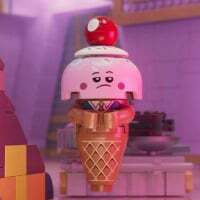 So yeah, I'm eager to get the new Unikitty and classic space characters, but I'll just wait until the inevitable 30-40% promotions start showing up in a couple of weeks. I can confirm that I happily parted with $9.99 to get it today. This is is a blast from the past. Pretty cool throwback to the older ships. Wish they’d added more of the traditional style nose to the front instead of the flattened look, but still pretty cool. Hmmmm.. I was feeling pretty happy that I wasn't liking the look of a lot of the movie sets. 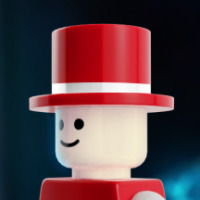 However, I've watch the reviews on Brickvault and just2good and I'm liking far too many now! The Rex large explorer and party bus look so much fun! 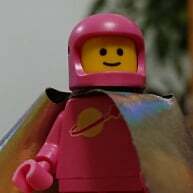 Anyone know when the Lego Movie 2 CMFs are being released? I thought I heard February 1st... but mid January would definitely be preferable! I ‘pre-ordered’ Benny’s Space Squad on Amazon. Was supposed to be delivered today, just got a notice that delivery has been delayed until January 8th. Ugh. 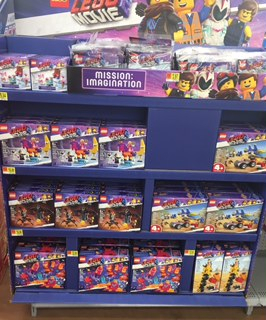 Smyths and The Entertainer both had several of the new sets in. I was all set to pick some up, but my daughter told me I have to wait until the film is out otherwise it'll spoil it for me! #$%^ing Walmart cancelled by order for the #70841 because they could not 'verify my payment method' when I used the same paypal account I always use for Walmart purchases, and [email protected] is limiting the sets to 2, which means I'm paying shipping if I only want those.. what a PITA. This may be a blessing in disguise if the sets ever get discounted, but annoying nonetheless. I got the same email. It doesn’t appear that any of the WalMart or Target stores in the Dallas area have these sets in stock yet so it looks like I’ll be waiting. I may try B&N tomorrow as they showed in stock. Would like to have a couple anyway. Building the Party Bus and I am all about that vibrant coral right now! There's a surprising number of vibrant coral pieces in it. Spot the difference between some original Classic Space minifigures and those from #70841 Benny's Space Squad on Brickset's Instagram! 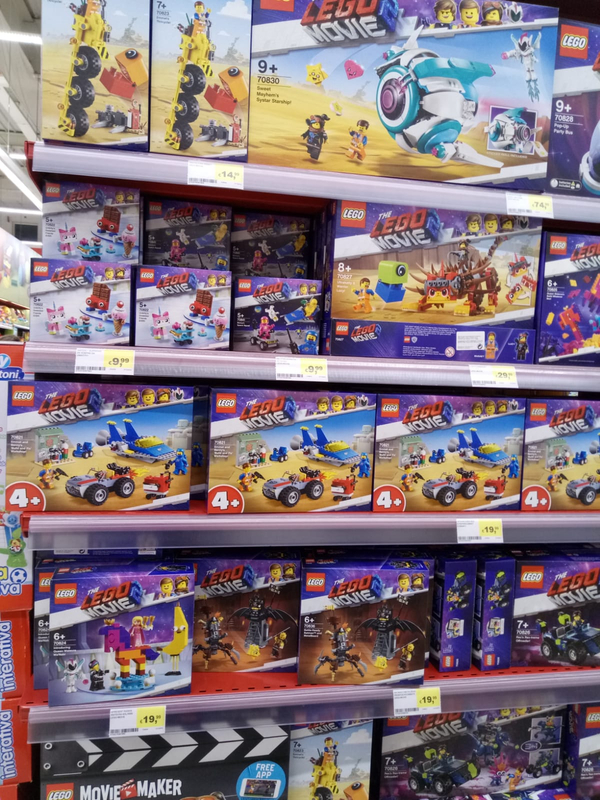 Popped into the Entertainer today and their LEGO Movie 2 display was near empty, there were 2 #70822 - Sweetest Friends (one of which is now mine) and a load of #70823 Emmet's Thricycle and #10895 Duplo Playground. I asked if they had any more in stock (particularly Benny's Space Squad) and was told they'd put all their stock of it out and it sold out almost instantly. They said they even had someone buy the copy of space Squad from their Window Display. Have you checked Barnes and Noble? The stores around me had some, albeit in limited quantities. There are only a few of the sets I want this go around so it will be a bit easier on my wallet as opposed to the TLM 'one' line. Though the extras I will buy of the Benny Space Squad set will likely make up for the not buying other sets. 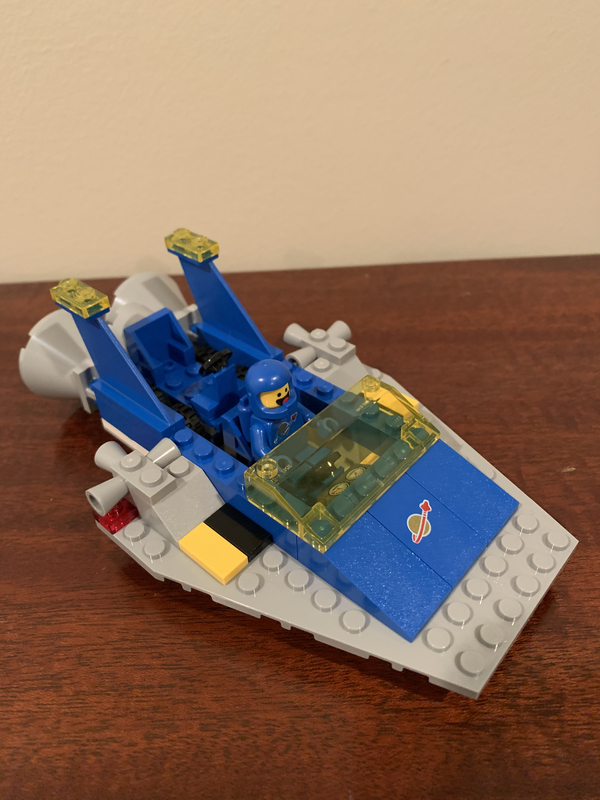 I did buy a couple of Benny Space Squad sets from LEGO when I saw that [email protected] had the Batman movie figure pack (with Bat signal), as well as the City accessory pack with the Azure blue bike, for 50% off each so I got to the point of free shipping. I've been hunting TLM2 sets across Houston. In the northwest, it seems like either the stores haven't put them out yet, or people are snatching them up as fast as they can. Only a Barnes and Noble had a large variety of the sets available. No Benny's Nostalgia Money Squad, however. Too many AFOLs in their mid-40s around these parts, it seems!